The world of emojis on Android 7.1 is even more diverse, as Google is fully embracing the options available in the Unicode 9 update. There are a number of different male and female professions, which may add a little spark next time you want to tell someone what it is you do for a living. Examples include artist, astronaut, judge, firefighter, scientist, student, and technologist. New professions emoji are available in male and female genders with a variety of skin tones. When you touch and hold on any of these Emojis, you’ll then be able to select from the different skin tone options and genders available. There’s also a new batch that represents single parent families and more symbols. The rainbow pride flag, male and female symbols, and the staff of Aesculapius. Many of the new emoji have "fallback" displays. For example, "female mechanic" will display as a woman and a wrench emoji next to each other on platforms that don't support the "female mechanic" symbol. 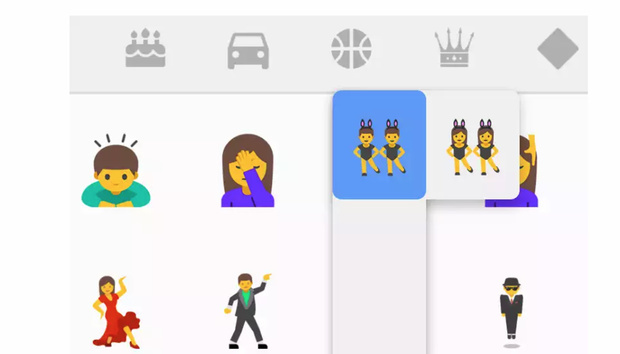 Emojipedia has a complete rundown of the new friends waiting for you in the keyboard. Check them out yourself if you have a Pixel or have opted into the Android 7.1 developer preview. Outside of the new emojis, a number of existing emojis have received a much-needed visual refresh. The impact on you: Emojis are an integral part of online communication these days. People of all ages use them not just to spice up messages, but to express emotions in a way that resonates better than plain text. Emojis have done a bad job of representing the diversity people and showing women and men equally in certain professions, thus reinforcing stereotypes. The new Emoji options in Unicode 9 go a long way toward addressing this. They'll be available in supported keyboards once your phone gets the Android 7.1 update. If you have a Pixel, they're already there.